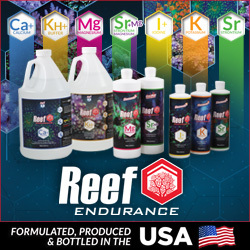 The crew at the Arizona Fish Reef Aquarium Group, or AZ FRAG, are doing terrific things to put the American Southwest on the aquarium keeping map. In addition to organizing the 2013 Southwest Coral Farmers Market, the club will also play host to the Marine Breeding Initiative (MBI) Workshop, an annual event that focuses purely on captive breeding of marine ornamentals. Going down on April 12th from 2-5pm, the workshop will feature legendary breeders Tal Sweet and Jim Welsh, who will each present their fish breeding experiences to attendees. Tal’s topic hasn’t been set in stone, but Jim is said to be discussing his success with raising bluestripe pipefish and flame pipefish. For more information about the MBI Workshop, be sure to visit AZ FRAG Presents: MBI On the Road Workshop, April 12th or the Marine Breeding Initiative website.